Southlands will be one of the first development projects in Canada to bring the vision of agricultural urbanism to life, with a 300-acre community farm, vibrant Market Square and walkable neighbourhood of cottages, townhomes and apartment-style housing. With Southlands, Century Group expands its development practice to include agricultural urbanism. This growing movement, which started in the United States, aims to connect people with the sources of their food through the integration of farms and food producers into the life of the community. Southlands is a 452-acre site in South Tsawwassen on the American border next to Boundary Bay and Centennial Beach. Our idea was to invest in and cultivate the land to create a community farm that is supported by a residential community. At 300 acres, the Southlands community farm will be one of the largest of its kind in North America. Eighty percent of the land in the project was given to the Corporation of Delta, in trust, for the entire community. A community designed for walkability, Southlands will offer a greater range of housing than any other Century Group project. The mix of nine different housing types will include small adjoining cottages with shared courtyards, larger cottages, manor houses, townhome and apartment-style homes, as well as live-work spaces that can accommodate a business with living quarters. The heart of Southlands will be the Market Square, a meeting and shopping space where residents and visitors can find produce from neighbouring farms, artisanal foods, and the work of local craftspeople and artists. Four Winds Brewing Company will operate a pub and restaurant, and there will be multiple public spaces for community events and outdoor concerts. 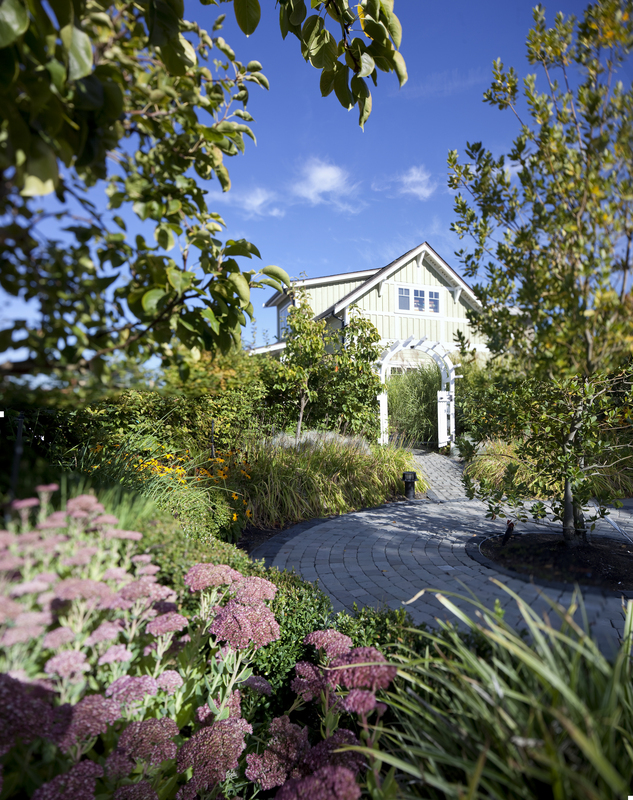 As one of the first agricultural urbanism developments in Canada, Southlands is a significant step in Century Group’s evolving practice of agricultural urbanism. For Tsawwassen, Southlands brings a unique opportunity to shape the community’s future.